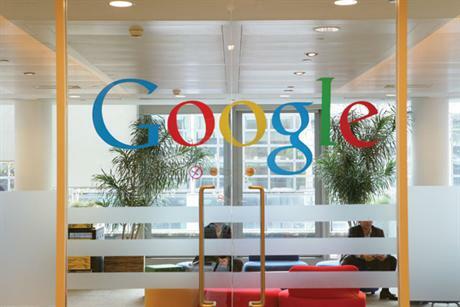 A call has been issued for under-fire Google to lead campaigning on the issue of user privacy. The search engine giant is currently facing a legal battle from iPhone users in the UK who allege their browsing habits were tracked by the company despite the iPhone's browser Safari being set to block cookies, the pieces of software used to track web browsing. The case, which is being brought by law firm Olswang, follows on from concerns over the launch of Street View and legal action taken on the issue of tracking cookies. He said that there was ‘a shift’ in people’s acceptance of how their data was being used. ‘People are realising there is no such thing as a free lunch when it comes to their information, and this speaks of the wider debate about trust, transparency and integrity,' he added. The case involves a group of 12 people seeking damages, and has been reported as potentially opening the company up to further action. Claimants say they thought that cookies would be blocked because of assurances given by Google in the time their devices were allegedly affected, from summer 2011 to spring 2012. Last year, Google was fined $22.5m (£14.2m) in the US for using tracking cookies on Safari. Tom Berry, head of tech at Fleishman-Hillard, said the issue was a growing one, and may lead to a change in how businesses position their comms. ‘You could see companies leading with their privacy and data protection standards as a starting point when it comes to interacting with a customer,’ he said. Google, whose comms around the issue is being handled by Portland, declined to comment.